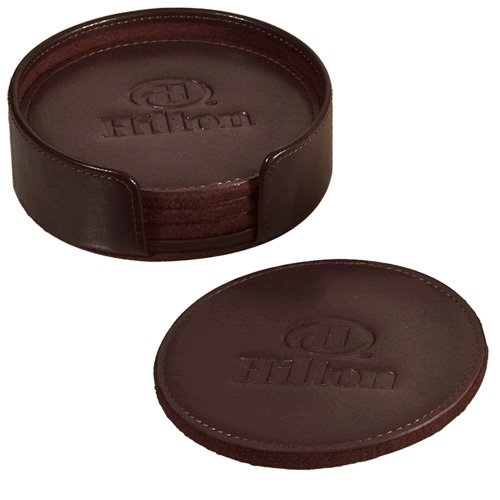 Lincoln Center Round Coaster Set is hand crafted treated leather that won't stain when wet. 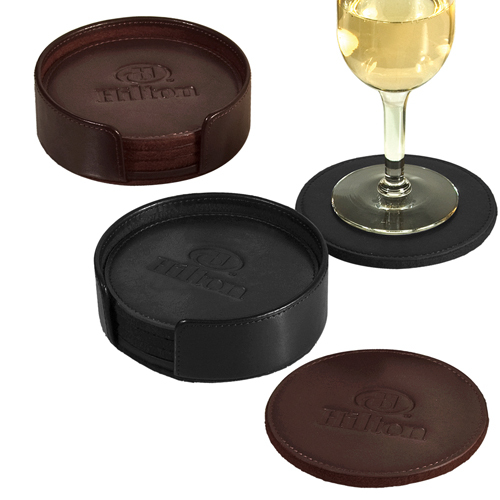 This exquisite handcrafted leather coaster set holds four imprinted individual coasters. Accented with faux suede bottom to protect furniture from scratching. This Lincoln Center Coaster Set is made from eco friendly recycled leather.The perfect gift, this exquisite handcrafted circular leather coaster set holds four imprinted 3 3/4" diameter coasters. 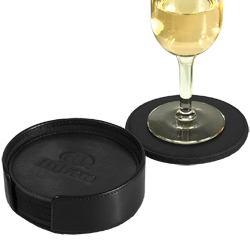 Your company logo is bound to make an impression on these debossed coasters. Part of our collection, this exquisite set measures 4 1/8" x 1 1/4" in size. Carton size: 18" x 14" x 12". Lifetime guaranteed. This supplier is QCA certified. Gift Box / 25 lbs / 50 pcs. / 12.5 x 18 x 14.5box.